For 2011, let’s plant a tree to add value to your home and even have a positive impact on your energy bill. Property shading and screening can reap homeowners long term value rewards by improving aesthetics with the right tree in the right spot. Often we overlook the advantages shading and screening can do for our energy use. Read on and learn, and this year do it right. There is a lot you can do around your property, but even more you can do in your own community. Here’s a list to get you started. Donating to organizations, such as The Nature Conservancy, which works to preserve the world’s trees and forests, and American Forests, which offers a unique way to take action. First, use its online Climate Change Calculator to determine your carbon footprint. Then, make up for your emissions by donating to a forest restoration project. The most tangible bang from your bark comes from energy savings. Three properly placed trees could save you between $100 and $250 a year in energy costs, according to the U.S. Department of Energy. Trees save energy two main ways. Their shade cuts cooling costs in the summer. In winter, they serve as windbreak and help hold down heating costs. The National Tree Calculator estimates that a 12-inch elm in an Omaha yard can save $32.43 a year on your energy bills; the same tree in Atlanta would save you $11.89 annually. The calculator also breaks down other dollars and cents benefits of your tree, like decreasing storm water runoff, removing carbon dioxide from the air, and increasing property values. In our elm example, the 12-inch tree adds $40.23 to the Omaha home’s value and a $57.33 to the one in Atlanta. And as trees grow larger, they can add even more value. A 2002 study by the USDA Forest Service pegs the value a single tree adds to a property of about $630. Of course, tree value depends on size, species, location, and condition. That’s peanuts compared with the role trees play as the lungs of the planet. A report by theTrust for Public Land estimated that one mature tree takes 48 pounds of carbon out of the atmosphere each year and returns enough oxygen for two human beings. To get the full benefits from your trees, choose the right one and put it in the right location. Planting a deciduous tree on the west side of a house provides cooling shade in the summer. In winter, after it loses its leaves, the same tree lets in sunlight that cuts heating and lighting bills. On the other hand, an evergreen on the west side blocks sun all year long, making a home colder and darker in winter. Rather plant evergreens, a great choice for blocking icy winter winds, on the north side of your home. If you’re planting a new tree, think about its fully grown size and shape before you dig. Branches from a tree located below power lines can cause outages as it grows. Roots from a tree located too close to a home can damage the foundation or block sewer lines. The wrong tree in the wrong place could actually lower your home’s appraised value if it’s deemed hazardous, says Frank Lucco, a real estate appraiser with IRR-Residential in Houston. Expect to pay $50 to $100 for a 6- to 7-foot deciduous tree, such as a katsura or evergreen. The same tree at 15 feet will cost $100 to $200, according to Brad Swank of Molbak’s Nursery in Woodinville, Wash. The Arbor Day Foundation sells saplings for as little as $8-$15, or less if you’re a member. Since trees cost money, be cautious about any home construction work. “Tree failure can happen seven to 10 years after construction, primarily because the root system fails when the soil is compacted,” says Thomas Hanson, a member of the American Society of Consulting Arborists from Kirkland, Wash. Also watch for diseases or pests that can threaten trees in your yard and community. Ensuring that your community has lots of healthy trees doesn’t have to be more complicated than a trip to the nursery and a hole in your backyard. Dig it twice as wide as deep. Let kids push in the dirt and help water weekly until the tree is two years old. TheArbor Day Foundation will tell you how to select the right tree for your needs and climate, where to plant it, and how to maintain it. The foundation also is a great place to look for community and educational programs. Its Tree City USA initiative provides expert advice and national recognition to cities and towns that want to establish tree-management plans. Its Arbor Day Poster Contest for fifth-graders gives teachers a fun way to help students learn the importance of trees. Its nationwide list of volunteer organizations lets you search for tree care opportunities in your state. 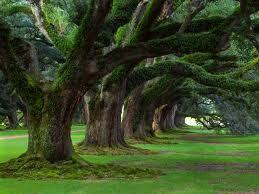 Considering everything trees do for you, it’s the least you can do for them and future generations. Brad Broberg is a freelance writer from Federal Way, Wash. A former newspaper reporter and editor, he writes about business, health care, and real estate for REALTOR Magazine, the Puget Sound Business Journal, and Seattle Children’s Hospital, among others. He’s lived in the same home for 22 years—a home he shares with seven towering Douglas firs. This entry was posted in 2010 Mid Year Denver Market Watch, Buying or Selling Real Estate, Centennial, Cherry Hills Village, Colorado, Denver, Denver Housing, Denver Residential Real Estate, Greenwood Village and tagged Home and Garden, Trees Trees and More Trees. Bookmark the permalink.